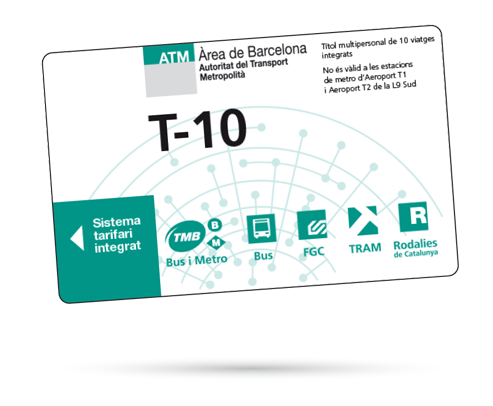 Multi-person, timed ticket for 10 integrated journeys on all modes of transport, depending on the zones passed through (maximum charge 6 zones). Not valid at the Aeroport T1 and Aeroport T2 metro stations on line L9 Sud. With integrated tickets you can make up to three transfers during the same journey. You must stamp the ticket each time you transfer. The maximum time allowed to make a journey is 1 hours and 15 minutes for tickets covering 1 zone. This increases by 15 minutes for each additional zone. 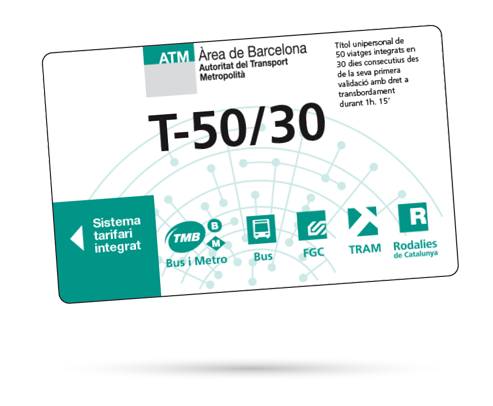 Single person, timed ticket for 50 integrated journeys on 30 consecutive days from the first time the ticket is stamped, on all modes of transport in one fare zone. The maximum time allowed to make a journey is 1 hours and 15 minutes. Multi-person, timed ticket for 70 integrated journeys 30 consecutive days from the first time the ticket is stamped, on all modes of transport, depending on the zones passed through (maximum charge 6 zones). Personal, non-transferable ticket for an unlimited number of integrated journeys on 30 consecutive days in the zones limited by the zone where the ticket is first stamped, on all modes of transport, depending on the zones passed through (maximum charge 6 zones). The ticket must be accompanied by an identity card, residence card or passport. Personal, non-transferable ticket for an unlimited number of integrated journeys on 90 consecutive days in the zones limited by the zone where the ticket is first stamped, on all modes of transport, depending on the zones passed through (maximum charge 6 zones). The ticket must be accompanied by an identity card, residence card or passport. 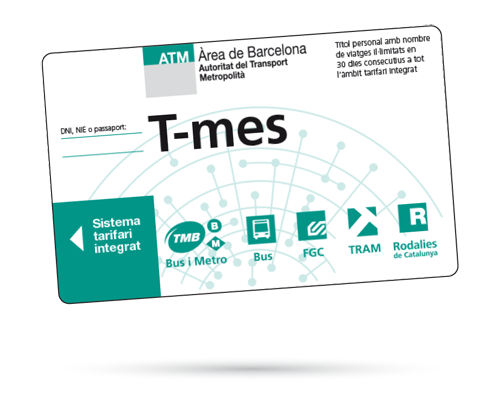 Single person ticket for an unlimited number of integrated journeys during the day on which it is first stamped until the service ends in the zones limited by the zone where the ticket is first stamped, on all modes of transport, depending on the zones passed through (maximum charge 6 zones). Enables at most one round trip with origin or destination at the Aeroport T1 and Aeroport T2 metro stations on line L9 Sud.